I like all types of food and will try just about anything. Though I have to admit sushi was one of those foods I was hesitant to try because I wasn’t quite sold on the whole raw fish part. I’m happy I tried it, because now I love sushi. I’ve thought about trying to make my own sushi rolls but back out every time. Friends of mine have said it takes a little practice and I’m worried I’d just waste money if my rolls turned out to be a disaster. I received a complimentary SushiQuik set in exchange for an honest review. SushiQuik was developed by a team of sushi lovers based out of Reston, Virginia. It’s the result of their desire to find a fun and easy solution to making sushi. I was excited to see if that was the case. At first glance the components of the kit appear to be of good quality. The plastic is durable and doesn’t feel like it’s going to snap in half the first time I use it. I followed the recipe on the side of the box to prepare my rice, and went on to the step-by-step instructions for making my sushi rolls as shown on the insert included with the packaging. 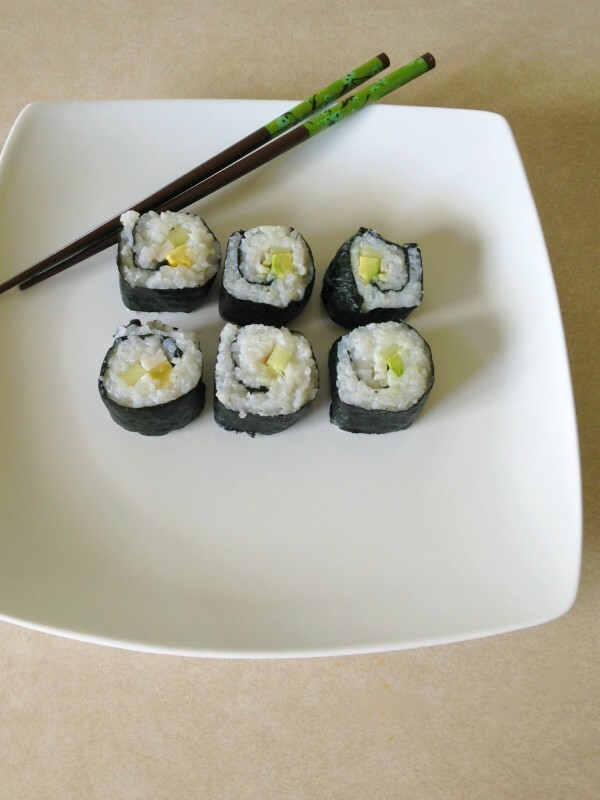 I was pleasantly surprised with how easy it was to assemble my California rolls. I had one little mess up with the last two rolls I cut, but I think that was due to my kitchen knife not being very sharp. Each piece of the SushiQuik Starter Kit was simple to use and my rolls looked good for my first attempt! While each part of the kit is dishwasher safe, it was just as easy to clean them by hand when I was finished. 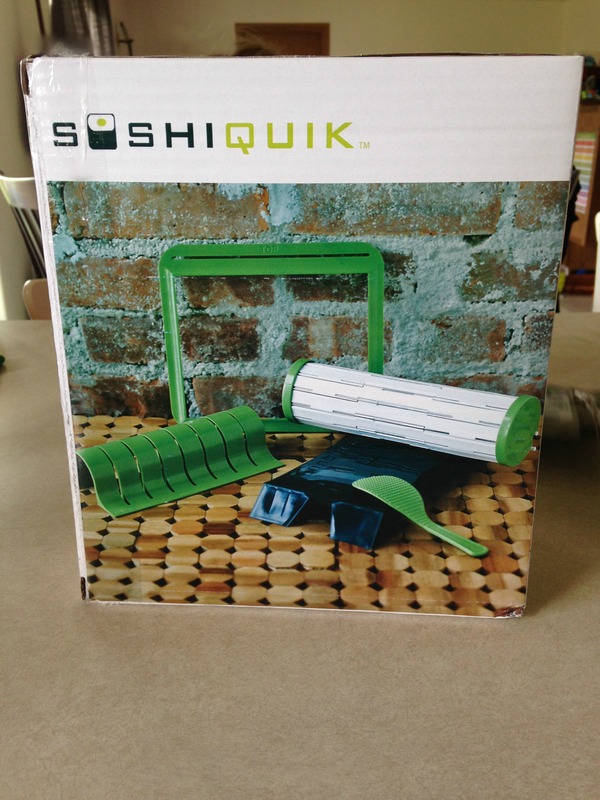 The SushiQuik Starter Kit would make a fun gift for any sushi lover. It would also be handy to have on hand for an in home date night or to have a few friends over for a sushi making party. You can purchase a kit for $35.00 on the SushiQuik website at www.sushiquik.com. While you’re there, you can also find recipes and How-To videos to help get your started. Have you ever made sushi at home? What is your favorite type of sushi? I really like this kit to make my own Sushi real quick! I love Sushi, but never thought about making this homemade! I would love this awesome kit! I’ve been thinking about making my own sushi for a while now; you make it look so quick and easy! This would be fantastic for us. 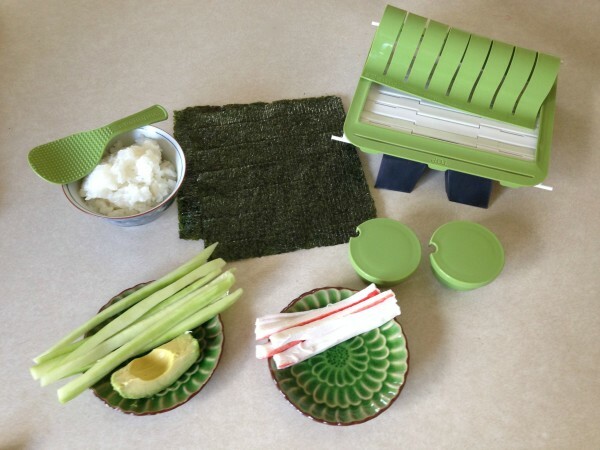 I have never even tried to make Sushi at home, but with this kit it looks pretty easy and turns out just like the ones at the stores and restaurants.